403(b)’s for employees of public education entities and other nonprofit organizations. 457’s for state and municipal workers, in addition to employees of qualified non-profits. 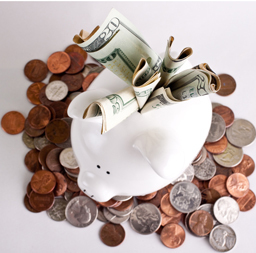 Thrift Savings Plans(TSP’s) for federal workers. There isn’t much of a difference between these three DC plans and a 401(k) other than who can contribute to them. 401(k)’s are definitely the most common type of DC plan though and nearly all private industries offer them as part of your total compensation package. You might not be in love with the options in your plan but it’s generally better than not having one at all. All DC plans work pretty much the same way. You decide how much you want to contribute to your plan and your employer will invest that money on your behalf. The investment occurs through payroll deductions so you get to decide what percent of your salary you’d like to contribute. Obviously the more you contribute, the lower your paycheck will be, but not as much as you might think due to the tax benefits of 401(K) contributions. Once your money is in your 401(K), employers usually provide a wide variety of investment options. In order to incentivize you to contribute, some employers provide matching up to a certain percentage. The nice thing about a 401(k) is that if you ever decide to leave the company, you’re able to take that money with you(as long as it’s vested). A 401(k) all starts with your contribution. It should be common sense that the more you contribute now, the more you’ll have later, but we’re a nation of instant gratification. Most of us would rather see a higher paycheck today than worry about what our retirement portfolio is going to look like in 30 years. That sentiment is understandable but developing good saving habits now will pay huge dividends later on in life. Joe the engineer makes $50,000 a year and starts contributing $10,000 a year to his 401(k) when he’s 25. If Joe continues contributing just $10,000 a year until the age of 65, he will have contributed $400,000. But what do you think the total value of his account will be? Using a conservative 7% rate of return, Joe’s 401(k) balance will be $2,071,255 when he’s 65. Let’s say Joe only contributed $5,000 a year starting at the age of 25. His account balance would still be over a million dollars by the age of 65. You don’t have to necessarily max out your 401(k) right when you start working but it is important to start saving early and often. I think it takes an ‘investing epiphany’ before you’ll ever start to really work hard to save money for your retirement. Some people get their epiphany the first time they use a compounding interest calculator and others don’t get it until it much later on in life. Either way though, start thinking about how much you can contribute right now and know that more is always better. 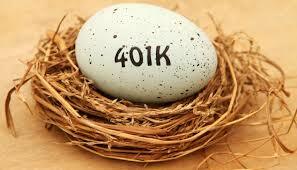 For 2014, the IRS has set the 401(k) contribution limit for an individual at $17,500($23,000 if age 50 or older). That limit applies to all 401(k) accounts that you might have, so if you switch jobs in the middle of the year, it’s up to you to keep track of your contributions so that you stay under that limit. Matching funds from your employer are limited to 25% of your salary but most of the time your company match will be much less. The combined maximum contribution from your individual contribution and employer match can not exceed $52,000 a year though. Johnny the pilot makes $100,000 a year and his employer matches 10% of his salary. If Johnny decides to max out his 401(K) contribution, at the end of the year his total contribution to his 401(K) would be $27,500. $17,500 came from Johnny’s contributions and the other $10,000 came from his employer. At a minimum, you should be contributing at least up until your company match. That’s a no brainer since there’s no reason to leave free money on the table. Every employer is different when it comes to how they match but generally it’s some combination of a 100% match and a percentage match. If your employer doesn’t offer a company match, than it may make sense to consider investing outside of your 401(k) in an IRA first. Generally, you can find much better investment options and lower fees with an IRA from a company like Vanguard. Amy’s employer matches 100% of her first 4% of contributions and 50% of her next 4%. So as long as she contributes 8% every paycheck, she should get a 6% match from her company. If Amy makes $50,000 a year and she contributes 8% of her salary($4,000), she would get a total match of 6%($3,000) from her employer for a total contribution of 14% or $7,000 per year. Any money that you contribute to your 401(k) is 100% yours. But sometimes the money your employer contributes(or matches) will be vested. Until you’re fully vested, you may not be able to take the entire portion of your employer’s contribution out of your 401(k) if you leave the company. If your company has 100% vesting after 2 years, you would be able to take the full amount of your employer’s contribution after two years. Employers like to do to this in order to encourage longevity with their employees and loyalty to the company. Ray works for a company that offers 100% match up until the first 4% of 401(k) contributions with a 2 year vesting period. If Ray makes $100k per year and contributes 4% in order to get the match, at the end of one year he’ll have $8,000 in his 401(k) account($4k from his contributions and $4k from his employer’s contribution). If he were to leave the company after one year, he would only get to take $4,000 of his 401(k) balance though since the other $4k is vested. If Ray waits until his two year vesting period is up, he would be able to take all the 401(k) money out without any restrictions. If you plan on maxing out your 401(k) there’s one thing you’ll have to watch out for in order to ensure you get the full company match. Some companies require you to contribute every paycheck in order to get the full match. But others will actually “true-up” your match if you decide to front load your contributions. Make sure that you give your plan administrator a quick call and see what type of policy they have. 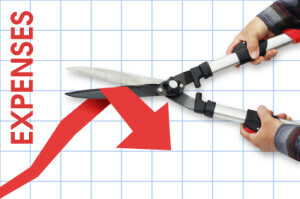 You wouldn’t want to max out your 401(K) in the middle of the year, only to find out you can no longer contribute and receive your company’s match for the remaining 6 months. So if you make $30,000 or less, contribute 6% or more, if you make $40,000, contribute 8% or more, if you make $60,000, contribute 12% or more and so forth. These numbers are obviously only a baseline though. If you can contribute more, than you are highly encouraged to do so. Your contributions will have a much larger impact on the performance of your portfolio earlier on in your career which is why it pays to invest early and often. Once your portfolio starts to approach the seven figure mark, even maxing out your 401(k) with a $17,500 contribution won’t have much of an effect(less than 2%). Your portfolio’s returns will be dominated by market return and investment fees rather than your contributions at this stage. If you’re looking for an easy to way to increase your 401(k) contribution, check to see if your company offers an automatic increase program. Some employers will allow you to sign up for a free service that automatically increases your 401(k) contribution by 1% each year. Since tax laws are always changing, your paycheck usually isn’t the same from year to year anyways, so you may not even notice a 1% annual contribution increase. Another easy way to increase your contribution is to take your annual merit raises, bonuses and promotions and increase your 401(k) by that SAME percentage. So if you receive a 5% merit raise this year, go ahead and increase your 401(k) contribution by that same amount. That way you won’t notice a smaller paycheck and you’ll be able to save the entire amount of your raise. Over contributions typically only occur when you switch employers during the year. If you stay with the same company, your plan’s administrator probably won’t let you contribute over the $17,500 limit. But if you switch halfway through the year, it’s up to you to make sure that you stay under that limit. If you do end up over contributing somehow, you have until April 15 of the following year to correct the mistake. 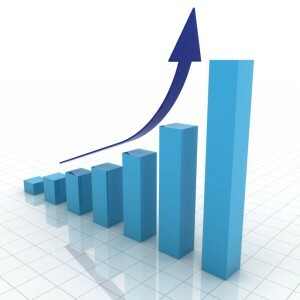 For 2014, the 401(k) contribution limit is $17,500. Most people elect to contribute the money on a pre-tax basis since these contributions qualify as above the line tax deductions. What that means is that for every dollar you contribute to your 401(k), the income that the government sees on your tax return will also be reduced by that same amount. So if you make $50,000 a year that would put you in the 25% marginal tax bracket. 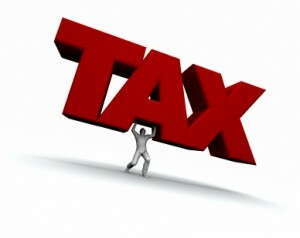 Based on 2014 tax brackets, for every dollar above $36,900 you’ll be paying 25% in federal tax. Yikes! But let’s say you contribute $10,000 to your 401(k). In that case, the government would allow you to deduct that amount from your income and only pay income taxes on $40,000 instead of $50,000. That’s a $2,500 tax savings! The only caveat is that eventually when you withdraw money from your 401(k) in retirement you will have to pay taxes on your original contribution and any subsequent earnings. 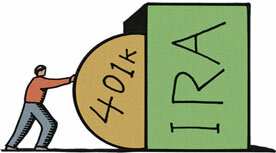 So a more appropriate term for 401(k) contributions is that they are tax deferred. But remember that you won’t have to pay a single penny in taxes until you withdraw your money during retirement which allows your contributions and earnings to compound tax free during that time period. The Roth 401(k) option has gained a lot of popularity in recent years since it allows you to essentially lock in your current tax rate. The contribution limits are exactly the same as the pre-tax option but your contributions will be with after-tax dollars instead of pre-tax dollars. Here’s how the example above would play out if you contributed to a Roth 401(k). Assuming a $50,000 a year salary, that same $10,000 pre-tax contribution from above would only be worth $7,500 as a Roth contribution since you would have to pay 25% in taxes on the $10,000. But there would be no taxes paid upon withdrawal(in retirement) on the contributions and any potential investment gains. 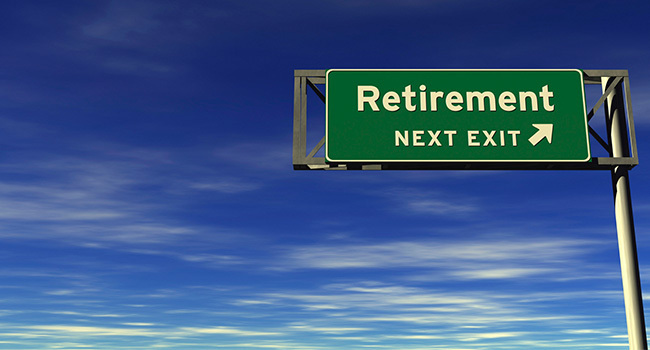 The reason why some people choose the Roth 401(k) is so that when they withdraw during retirement they won’t have to pay taxes on the contributions or the earnings. If you’re considering the Roth option though, it might make more sense to do it outside of your 401(k) in a Roth IRA first. Non-qualified distributions from a Roth 401(k) are subject to a penalty and they will also count against your $17,500 overall limit(leaving less room for pre-tax contributions). And there’s also a lot more flexibility when it comes to regular Roth IRA’s since you can take your contributions out at any time for any reason. 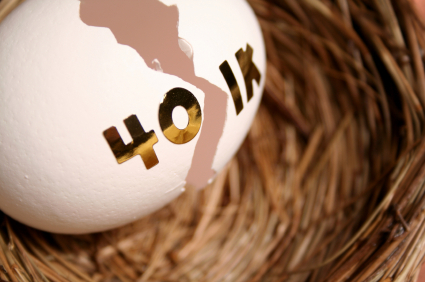 Read more: What is a Roth 401(K)? The pre-tax vs Roth debate has gone on for many years now but I think it makes the most sense to do a little bit of both. If you think your salary in retirement will be lower than it was during your working years, traditional pre-tax contributions would benefit you more. But if you think your salary in retirement will be higher than it is now, Roth contributions will benefit you more. You might be able to gauge where your salary will be in the future but it’s impossible to predict what tax rates will be like. And future tax rates will have the biggest impact on what type of contribution you ‘should’ choose. Since we can’t predict the future, it’s probably best to do a combination of Pre-tax and Roth. Just like you would diversify between stocks and bonds, it’s a smart idea to diversify from a tax perspective too. A good ratio to start with is 2:1 or 3:1 pre-tax to Roth contributions. Most people will make less money in retirement so it makes sense to defer taxes until then. How Should You Invest Your Money? Most 401(k) plans these days offer a wide variety of investment options. The first thing you’ll want to do is figure out what type of investor you are. Are you the hands on type that can manage his/her own assets or would you rather pay someone to do it for you? No matter what category you fall under, it behooves you to at least grasp the basic principles of investing. To put it frankly, there is a lot of misinformation out there and most financial advisors are more akin to salesmen than actual advisors. Investing is not that difficult and doesn’t have to be very costly but it does take some upfront research and discipline. If you’re looking to drop your investments in a magic box and expect 10% returns over 30 years then you’re dreaming. It’s perfectly acceptable to do things on your own or hire someone more knowledgeable but you should understand the basics of active vs. passive investing, index vs. mutual funds, asset allocation and fees. People complain all the time about not getting paid enough at their job, working too many hours yet they take zero time to look at their investments. You could probably learn all you need to know in 10 hours or less reading a basic book on investing and potentially save yourself hundreds of thousands of dollars. 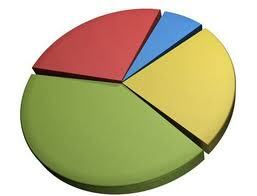 A lot can be made about investing but asset allocation is really what it all boils down to. Once you’ve established a solid portfolio(six figures +), asset allocation will start to dominate the returns of your portfolio. There’s really no simple formula for determining one’s asset allocation though. Your AA will be based on your risk tolerance, goals and investment time frame. In its simplest form, asset allocation really describes how much risk you’re willing to take on. Younger investors tend to invest in higher percentages of risky assets like equities(stocks) since they have a longer investment horizon and they can withstand the market’s volatility. Investors nearing retirement should invest in a smaller percentage of equities and more fixed income assets like bonds and CD’s since they can’t afford to withstand 10 years of negative stock market returns. There’s really no getting around the fact that asset allocation is probably the toughest part about do it yourself investing. Everything else pales in comparison to it but once you’ve decided on your asset allocation, it gets a lot easier from there. I like to go by the rule of thumb of 115 – (your age) in stocks and the rest in bonds. So if you’re a 25 year old investor you would hold 90% stocks and 10% bonds. This asset allocation is on the riskier side but a 25 year old investor won’t be touching that money for 40+ years. For more, read: Is your Asset Allocation Too Risky? You’ve probably heard a lot about fees over the past couple years when it comes to the funds in your 401(k). There’s actually a war on fees going on right now between most of the big brokerage firms and that war directly benefits consumers like you and I. Most of the big boys are realizing that their customers are switching to funds with lower fees since they’re looking to maximize returns. Fees are an important part of your retirement plan but they won’t make much of an impact until you build up a significant portfolio(think 6 figures or more). For young investors, asset allocation and rate of contribution will have a much larger impact than expense ratios(fees). But if you need help deciding on which fund to pick it usually makes sense to go with the lowest expense ratio funds. Scientific studies have proven that it’s better to pick a fund based on its lower fee than past performance. That might seem a little counter-intuitive but all the evidence points against high expense ratio funds. If you’re having a tough time figuring out what the fees are on your plan’s funds you should look for a fee disclosure sheet. All 401(k) plans are now required by law to provide investors with a fee disclosure sheet that clearly outlines the expense ratios and fees on all of their funds. You’ll want to see expense ratios in the .2% or less range for index funds and .5% or less range for lifecycle funds. There’s not a whole lot you can do about high expense ratio funds in your 401(K) but it might behoove you to get a few like minded thinkers and write a letter to your bosses demanding better investment options if you’re not happy. 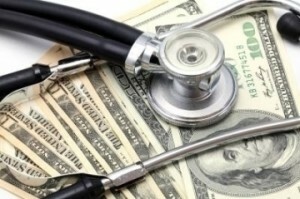 It’s in your best interest and the company’s best interest to provide low cost options to employees. If you don’t have the time to worry about your asset allocation and expense ratios right now, consider putting your money into a target retirement fund. These funds are very user friendly and all you have to do is pick one that coincides with your retirement date and start contributing. Most employers actually start new employees in these types of funds so you may already be in one and not even know it. I contributed to a target retirement fund for the first year of my employment and it couldn’t have been easier. The expense ratio’s on Vanguard’s target funds are currently under .2% which is pretty astonishing. These funds will invest in a diverse array of domestic stocks, international stocks and bonds, re-balance when necessary and make small adjustments here and there to maintain its asset allocation. These funds basically do all the same things that a financial advisor would do but for a fraction of the cost. If you’re ready to take the next step into investing, consider investing in low cost index funds. You can use a simple three fund portfolio that invests in the US Total Stock Market, the World Total Stock Market and a Total Bond Fund. How easy is that? The least complex approach would be to split up your stocks 50/50 between US and International and invest the rest in bonds. Ronnie is a 25 year old investor and he’s decided on a 90/10 Stocks/Bonds asset allocation and 50/50 US Stocks/International Stocks. If he makes $100,000 a year and contributes 10% to his 401(K) here’s how his contributions would break down. This portfolio will require a little more research and thinking though since you always want to understand what you’re investing in and why. You won’t need to spend hours pouring over a textbook to figure out how much you want to allocate to international stocks but you’ll definitely have to do some research. The 3 fund portfolio is perfect for someone with a little time on their hands and an interest in investing. If you don’t fit that mold though, a target retirement fund will work just fine. This guide is a great starting point for the beginning or even intermediate investor. But ultimately, in order to help you figure out your asset allocation and determine your investment strategy you’re going to need some help. At a bare minimum, you should read at least one investing for beginners type book. After you’re done, you can make the decision if you want to just drop your money in a target date retirement fund and do periodic maintenance or take it one step further and play a more active role in your investment strategy. One of my favorite free resources for investing questions is the Bogleheads forum. Most of the posters are a little older so you tend to get advice on the conservative side but that’s not necessarily a bad thing. 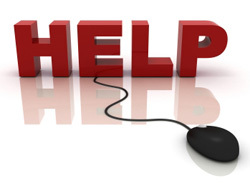 They can help you with everything from basic questions(check out their free wiki) to advanced topics that few people in the world may even know about. A lot of larger companies are starting to offer free financial advice from trained professionals these days. Call your plan administrator and see if they offer anything like that since it could be a great resource to bounce ideas off and ask any questions you might have. Otherwise, you can ask your plan administrator to explain how things in your plan work but they probably won’t be able to give you very good advice. 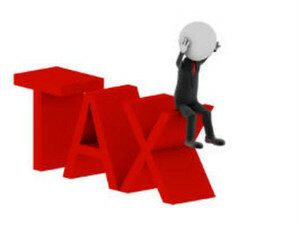 But even if you qualify for a hardship withdrawal, you will still be subject to ordinary income tax plus a 10% penalty. 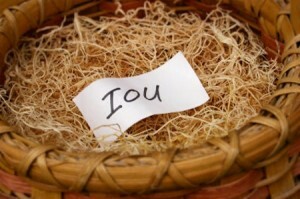 A 401(k) loan is the only way to access your money without having to pay taxes and/or penalties before you turn 59 1/2. The nice thing about a 401(k) loan is that you are effectively borrowing money against yourself so you pay interest back to yourself at the market rate. But a 401(k) loan should really be an absolute last resort since retirement accounts were not meant to be used as a short term loan depository. 401(k)’s were invented so that you could contribute and save for retirement. Taking a loan out means that you’ll be missing out on X years of compounding until you fully pay the loan back. Some employers won’t let you contribute(or even receive the company match) while you have a 401(k) loan out. 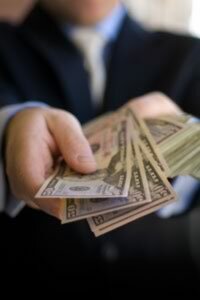 If you leave your job or are terminated for any reason, you’ll be on the hook to repay that loan immediately. If you can’t come up with the cash, the loan will be treated as a regular distribution subject to ordinary income tax and a 10% penalty. 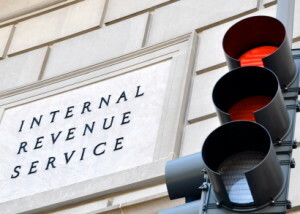 One myth that I’d like to quickly dispel is the 401(k) double taxation myth. Even personal finance gurus like Suze Orman and MSN Money get this one wrong. They claim that when you pay back your loan you are doing so with after-tax dollars and that even worse, when you take this money out of your 401k in retirement, you’ll be paying taxes again. Hence, the double taxation. Amy takes out a $100 loan from her 401(k). A week later Amy changes her mind and decides to repay her loan back using the same $100. Is she paying double taxes or is she just paying her loan back? It doesn’t matter whether the money Amy borrows is pre or post-tax since a $100 loan from her 401(k) is exactly the same as a $100 loan from her bank. If she spends that $100, she’ll still have to repay it eventually – the tax status doesn’t matter. Whenever you leave a job, you have three options when it comes to your 401(k). You can leave it there, cash it out or roll it over. Cashing it out is usually the worst idea since you’d owe income taxes plus a 10% penalty on the entire balance of the 401(k). Most everyone knows that you should not do this, but what about the other two options? If you have enough money to satisfy your former employer’s minimum balance requirement you can leave your 401(k) right where it is. Cost is really the important thing to look at here because if your old plan has low fees and a wide variety of funds then it might make sense to keep it around. But if you can get lower fees and better investment options in your new employer’s 401(k) or even an IRA with a regular brokerage company you would be better off rolling it over. If you’ve never noticed, 401(k) rollovers are a big business for the top brokerage companies. Hundreds of thousands of dollars can literally be up for grabs when you leave your employer and firms like TD-Ameritrade and E-Trade pay up to $600 cash bonuses for the pleasure of your rollover. The only caveat to a rollover IRA is that you will no longer be eligible for a backdoor Roth IRA in the future. It probably wouldn’t be too much work to manage 2-3 401(k)’s but once you get more than that you might have to give up the option for a backdoor Roth in favor of simplicity. It’s nice having access to all your retirement accounts in one place, re-balance and make adjustments as needed. It’s not an easy task to figure out what to do with an old 401(k) since every situation is different, but as long as you understand the different options you’ll be able to make an informed decision. If you’ve made it all the way through this guide, congratulations. You’ve put yourself on the path to financial independence and a successful retirement. It’s not always fun to delay instant gratification and think about a retirement that could be 20, 30 or even 40 years away but it’s more important than ever. Saving for retirement can be especially tough when you see your friends living a care-free life and not even thinking about contributing to retirement. But remember that life is all about making sacrifices. You have to see beyond the present and look into the future. What do you want your future to look like? Do you want to be chained to your desk until you’re 60 or 70 because you didn’t contribute a measly 5 to 10 thousand dollars a year when you were young? Or do you want to be thinking about an early retirement and pursuing your passions while everyone else is still working. I know what I want and it doesn’t involve sitting behind a desk for the rest of my life. A lot of people look back when they’re older and say, “I wish I would have started contributing more when I was young.” But as a young professional, you have the opportunity to avoid that mistake and put yourself on a completely different life path. Saving for retirement is not that difficult but it all starts with the discipline to contribute to investment vehicles like a 401(k). You might think it’s pointless to only increase your 401(k) contribution by 1 or 2% every year but that 1 or 2% today will be worth hundreds of thousands of dollars when you want to retire. Person A contributes the maximum $17,500 a year to their 401(k) from the age of 22-32(10 years) and then never again. Person B doesn’t start contributing until the age of 32, at which point they too contribute $17,500 a year but for the rest of their career(33 years). Who do you think will come out ahead? At the age of 65, Person A will have contributed $175,000 over their lifetime. Meanwhile, Person B will have contributed $577,500 over their lifetime(that’s 3.3 times more than Person A)! Person A’s final balance(assuming a 7% ROR) at the ripe age of 65 comes in at a whopping $2.3 million while Person B’s final balance comes in at $2.1 million. Both are solid numbers but which route would you rather take? If you need motivation to start saving, I suggest you play around with a 401(k) calculator and see just what can happen if you start contributing early on in your career. You don’t need to make all that much money either to start saving. I’m just a lowly engineer but I’ve been able to save nearly $15,000-$25,000 a year in my retirement accounts(401(k) + Roth IRA + HSA) every year since I started working. By the age of 30, I expect to have around $200,000 saved up in my retirement accounts and even if I never contribute a single penny again after the age of 30, my account balance when I retire will be just over 2.1 million dollars(assuming a 7% ROR). Let that sink in for a second: by working for only 8 years and contributing $15,000-$25,000 a year you will never have to contribute to your retirement accounts again and you’ll end up with 2.1 million dollars! Using a safe 4% withdrawal rate, that’s $84,000 a year to live on for the rest of your life(plus other investments like real estate, social security, pensions, etc). I don’t know about you but I’m definitely willing to eat out a little bit less, vacation a little closer to home and contribute more to my 401(k) if it means that I can have $2.1 million when I retire. I think a lot of people get way too caught up in what they’re investing in and how this and that works. All of that stuff is just wasted energy and noise when you don’t have much money invested. Think about it, if you have a hundred thousand dollar portfolio and you max out your 401(k) with $17,500, you’ve just achieved a 17.5% return! That’s going to dwarf any investment return, expense ratio or asset allocation you might be worrying about. It’s important to have a grasp on all the extra stuff but it’s even more important to just start contributing. In the end, don’t worry about what everyone else is doing, only worry about what you are doing. We all know that the more we save now, the more we’ll have later but it’s up to you to follow through on that plan. It’s easy to delay thinking about retirement but eventually it’s going to catch up to you, there’s no getting around it. Why not embrace it instead of avoiding it? Educating yourself about investments is the first step but now it’s time for you to put your plan into action.